In the hours before a Miami commission meeting Thursday to decide the fate of the Magic City Innovation District in Little Haiti, confusion reigned as to whether the $1 billion project’s primary investor Robert Zangrillo — who was charged in the recent college admissions scandal — was still playing a leading role. MCD Miami LLC, the partnership developing the project, notified city commissioners on Wednesday that on Tuesday Zangrillo was removed as manager of MCD Dragon LLC, the entity that owns 35 percent of Magic City Innovation District. Taking his place is New York developer Zachary Vella, whose companies have built a dozen mixed-use and condo projects in Tribeca and the Lower East Side, as well as in Southern California, according to letters sent to Commission Chairman Ken Russell and his four colleagues. Zangrillo was en route to Boston for a court hearing on Friday and did not respond to an email requesting comment. Sources working with Zangrillo and the other partners told The Real Deal that he is definitely no longer involved in MCD Miami and the Little Haiti development, and the motion was a result of lack of communication between attorneys. The motion is going to be withdrawn by the end of the day as Zangrillo focuses on his defense and will no longer seek permission for the Montreal trip, the sources said. Zangrillo was charged March 15 with one felony count of conspiracy to commit mail fraud and honest services mail fraud. He is accused of paying $50,000 to the University of Southern California Women’s Athletics in 2018 for his daughter Amber to be recruited by the school’s crew team, even though she had never rowed competitively. He also allegedly paid $200,000 to Key Worldwide Foundation, a nonprofit college prep company that arranged for someone to secretly take classes on behalf of Amber to improve her grade point average. Zangrillo was among dozens of people, including actresses Felicity Huffman and Lori Loughlin, indicted by the feds for participating in a nationwide scam involving bribes to get their children admitted into prestigious universities. Terms of his release included Zangrillo giving up his passport. An ownership matrix of MCD Miami shows that Zangrillo owns 54.2 percent of MCD Dragon and a trust benefitting his three daughters owns 42.49 percent. The remaining 3.31 percent is owned by Neil Kadisha, a billionaire member of the Nazarian family. 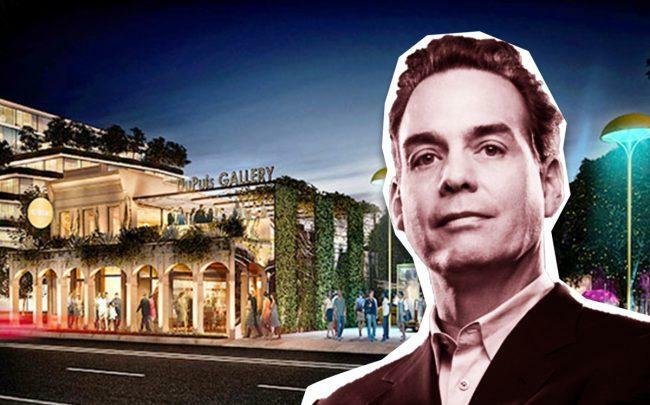 Zangrillo’s other main partners, Cirque du Soleil co-founder Guy Laliberte and Plaza Equity Partners led by Neil Fairman, each own a 25 percent stake in MCD Miami. Miami developer and real estate broker Tony Cho controls the remaining 15 percent. A spokesperson for Plaza Equity said Zangrillo’s legal woes do not impact Magic City Innovation District. “Plaza Equity Partners continues to be the managing partner for MCID and handles the day-to-day affairs for the development,” the spokesperson said. The Miami City Commission is taking up the Magic City project nearly a month after Chairman Russell delayed the initial first reading vote over a last-minute arrangement between the developers and Commissioner Keon Hardemon to contribute $31 million for community improvements and affordable housing in Little Haiti. During the first portion of their meeting on Thursday, city commissioners approved the creation of the Little Haiti Revitalization Trust to administer the funds. If approved, Magic City Innovation District would span 8.2 million square feet that includes 2,670 apartments in buildings up to 25 stories tall on land that included the former Magic City Trailer Park at 61st Street and Northeast Second Avenue.